Diamond Details: Round brilliant cut white diamonds of G-H color, SI1 clarity, of excellent cut and brilliance, weighing .64 carat total. Earring Details: Simon G 18k white and rose gold with antique style caviar beading. Measurements: 17mm at widest point. 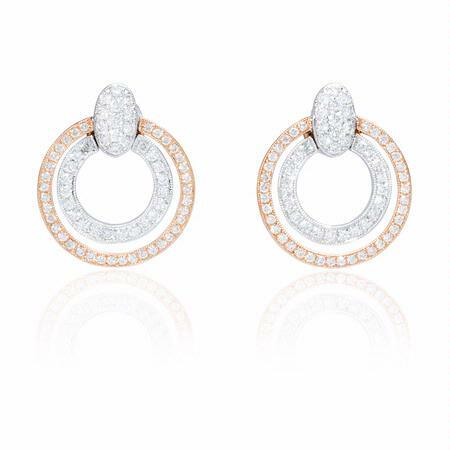 This stunning Simon G antique style 18k white and rose gold earrings features round brilliant cut white diamonds of G-H color, SI1 clarity, of excellent cut and brilliance, weighing .64 carat total. Beautiful caviar beading creates an antique style effect. 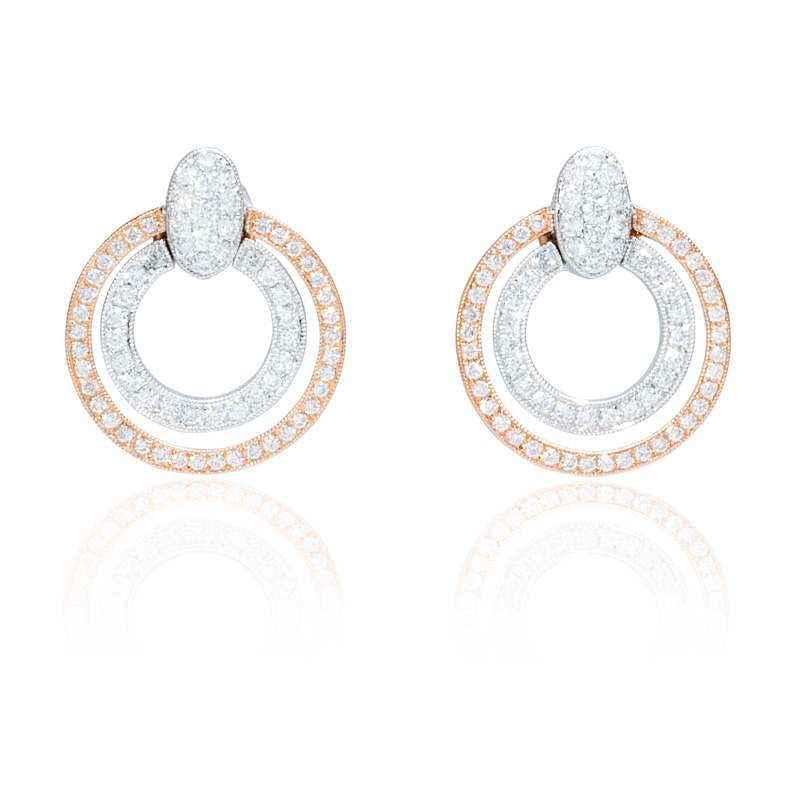 These diamond earrings contain push and push backs. These diamond earrings measures 17mm at widest point. Please call for pricing 1-800-790-6980 or 1-212-302-2863.